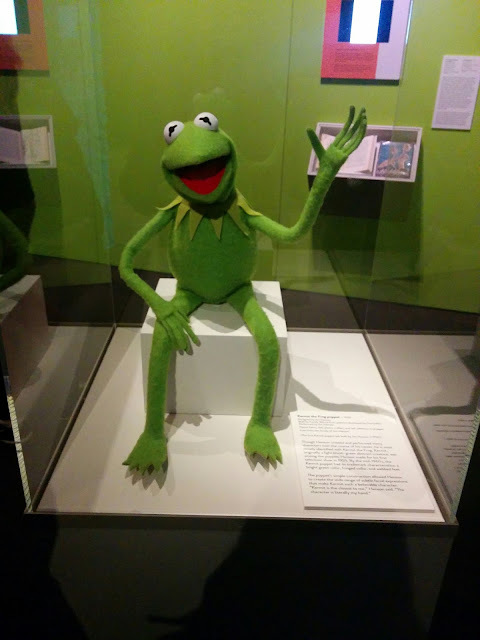 Recently I visited to the MoPop (Museum of Pop Culture) at the Seattle Center for the Jim Henson Exhibition: Imagination Unlimited. I know my husband could go through that exhibit in 10 minutes. However my friend Jade of Arctic Phoenix Studio and I spent 3 hours reading through all the inspirational notes, analyzing the materials and sewing techniques, and practicing our puppet interaction skills. 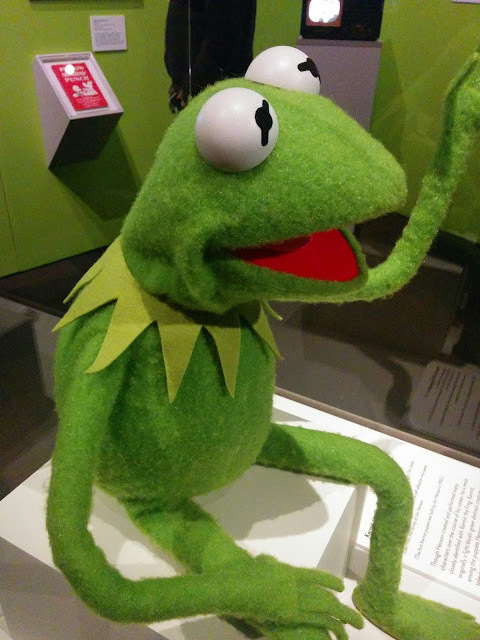 We were greeted with an original Kermit the frog. I'd like to share with you my observations that I discovered when circling this creation over and over. His eyes are not made from PingPong balls and I had assumed they had been all my life. The black pupils were not painted on, but instead cut black fleece. 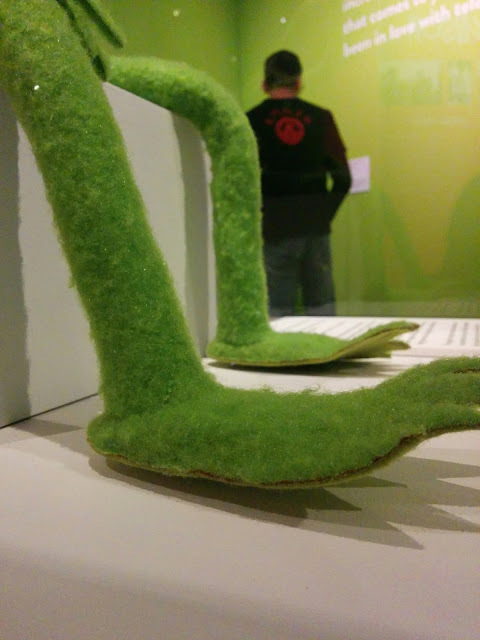 The same flat fleece of the collar is reused as the foot pads of the feet. I wonder why Jim felt the need to have a different texture for the bottom of the feet? I can see the edge of the fabric, are they glued on? His collar is a hand cut flat fleece sheet that was simply sewn on by the top to the body. It looked very raw up close. 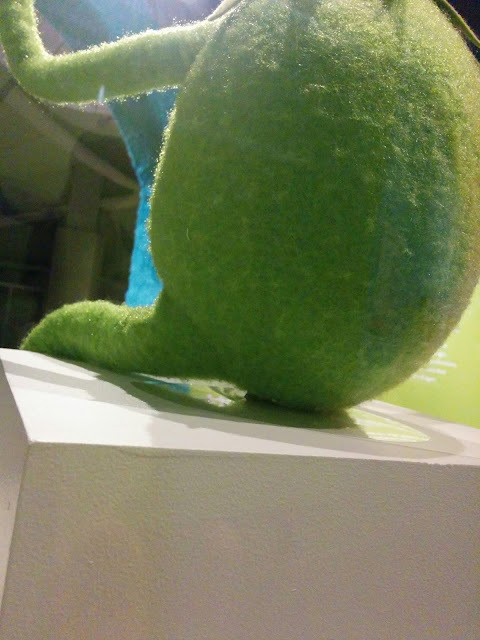 You can't really see the threads of where the body and the legs connect together, the fluffy fleece seems to hid the seams well, however because of the non-smooth connection points you can still figure out where the joints do collide. His fingertips were stiff, and I had a hard time figuring out if the two pieces of fleece were sewn together or glued based on the seam lines. 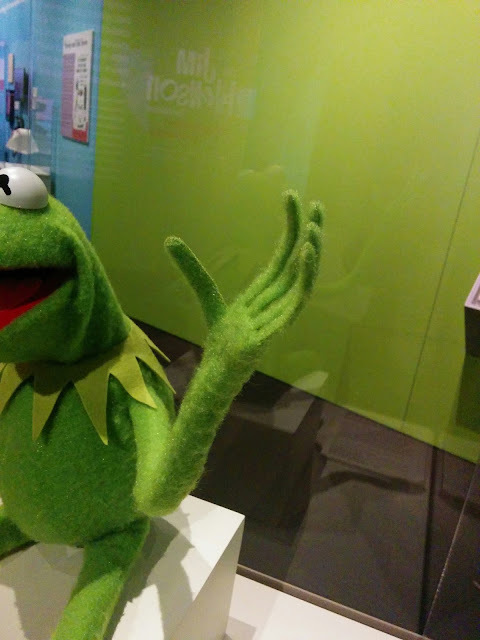 Throughout the exhibit I realized, there may be some raw edges to these professional works of art, but it doesn't matter. 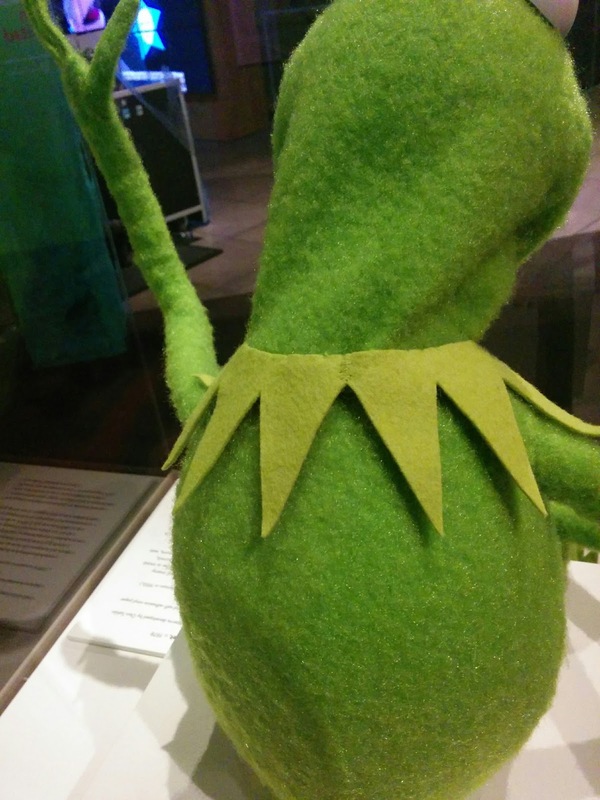 The puppetiers put so much life into these creatures that folks don't notice these small details, but instead enjoying the emotional connect we have with the Muppets.